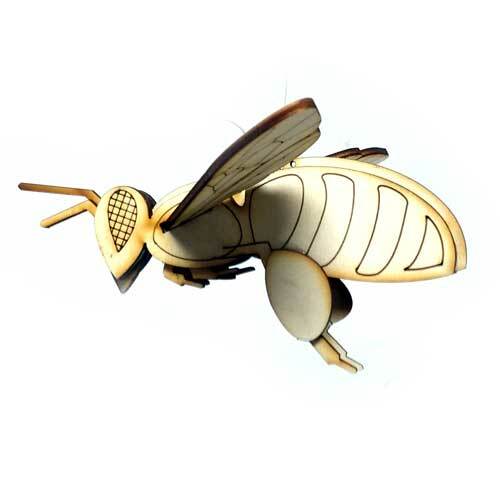 This model has been expertly drawn from a real honey bee to ensure it is as life like and as true to nature as possible. 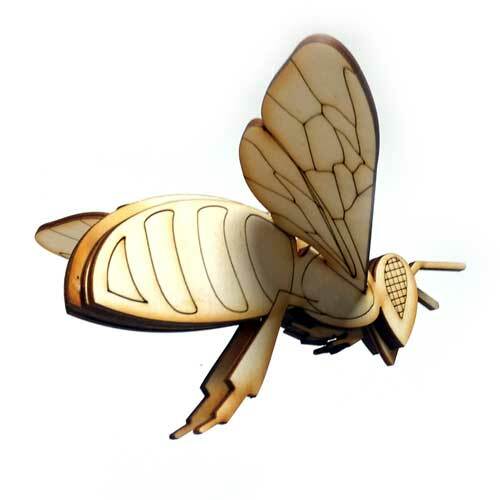 Approximately 150mm long, made from plywood. These are cut with 3 holes for hanging so they can hang at different angles - use thread or fishing line (not included). 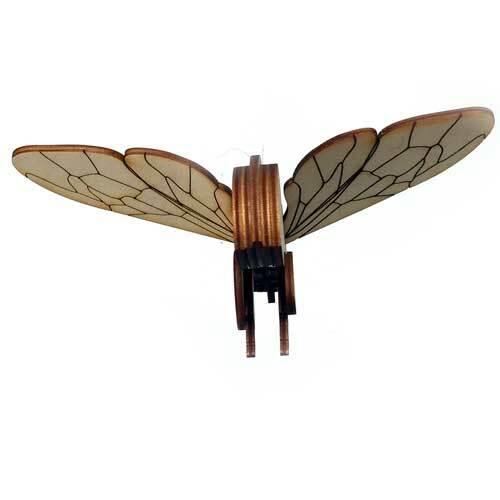 Supplied with separate wings - these can be slotted in. 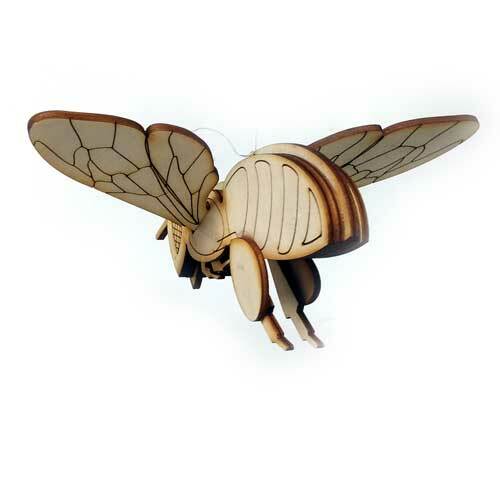 We also supply 2 corbicular pollen loads just for added realism and education (a honey bee leaving the bee hive would not be carrying pollen) - these need to be glued on.